The OSU Foundation is the private fundraising organization for Oklahoma State University, as designated by the OSU Board of Regents. Our mission is to unite donor and university passions and priorities to achieve excellence. We exist solely for the benefit of OSU. Our mission is to unite donor passions with university priorities to achieve excellence. We manage donor dollars to provide the most advanced educational opportunities to students, faculty, staff, alumni and friends of OSU. From scholarships to community programs, our donors generously support the spirit and tradition of Oklahoma State University. We invite you to learn more about our organization, our leaders and those who support America's Brightest Orange. As always, please feel free to contact us for additional information or visit us the next time you're in Stillwater! Kirk Jewell is president of the OSU Foundation, leading a staff of more than 100 who work to unite donor passions with Oklahoma State University's priorities. He met his wife, Jan, while they were OSU students in the 1970s. He firmly established his love for the university and passed it on to their sons, Ryan and Shane, who are both OSU graduates. Before coming to the OSU Foundation in 2003, Kirk worked at the Daily Oklahoman in various financial and leadership roles over a 23-year span. 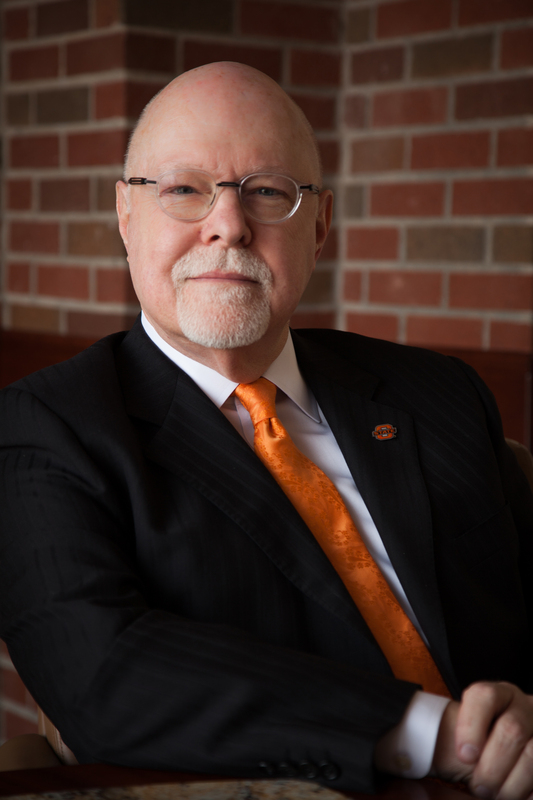 He served on many volunteer boards and committees including Leadership Oklahoma City and the Arts Council of Oklahoma City and is a past president of the OSU Alumni Association. "I had no idea when I arrived here that the vision of the Foundation and the benefit it provides OSU would have such a strong connection to me. I feel blessed every day to be here." Kirk and Jan established the Jan Jewell Endowed Scholarship for future special education teachers. 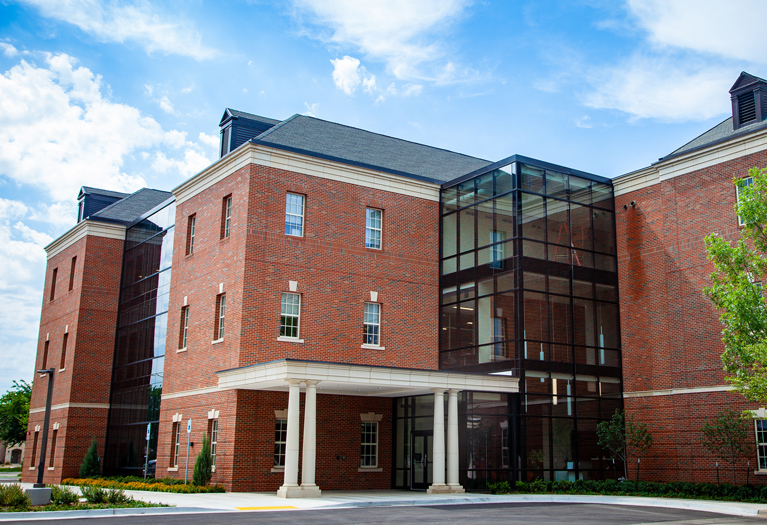 Their gift has been multiplied through matching funds provided by OSU alumnus T. Boone Pickens and they plan to add to their legacy with a portion of their estate. Foundation President Kirk Jewell directs operations under policies established by the Board of Trustees. These trustees are volunteers chosen for their professional expertise and support of OSU. 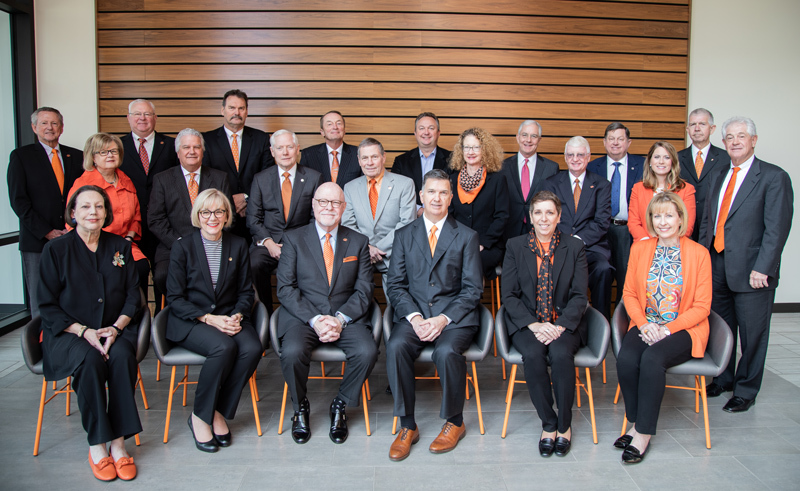 They are elected to four-year terms among members of the Board of Governors, a group of alumni and friends who provide significant financial support and volunteer services to OSU and the Foundation. Governors are elected for six-year terms. OSU's president participates in Board of Trustees meetings, and other OSU administrators advise various trustee committees. We dare to dream big - the right results the right way. Mission: Unite donor and university passions and priorities to achieve excellence. Vision: Become the best-performing land-grant university foundation in the country when measured by investment performance, growth in private support and operating efficiencies while maintaining outstanding donor and university relations as measured by client satisfaction. Service to OSU: Serving OSU is our primary focus. We actively seek opportunities to partner with OSU and its constituents. Integrity: We maintain the highest ethical standards; demonstrating our dedication to the principles of truth and honesty. Donor Centered: We embrace development and stewardship strategies that build relationships and respect the donors' interests. Excellence: We pursue exceptional performance in all our endeavors, and are committed to continuous improvement, responsiveness and outstanding customer service. Stewardship of Resources: We commit to the efficient and effective use of resources and accept the responsibility of being accountable and transparent to our constituents. Dignity & Respect for All People: We value diversity and treat all individuals with respect and professionalism. Open Communication: We are transparent in our operations through open dialogue, active listening and information sharing. We seek first to understand and assume positive intent. Accountability: We accept responsibility for our actions. We make and support business decisions through experience and good judgment. We exceed expectations and have fun doing it. Teamwork: We collaborate, support each other's efforts, trust one another and care for each other personally and professionally. Appreciation: We celebrate success, recognizing and rewarding the outstanding performance of individuals and teams. Personal & Professional Growth: We invest in the growth of our employees. Balance: We are flexible, helping each other achieve a healthy work and life balance. Fun: We look for opportunities to create fun and humor in our daily work. The OSU Foundation -- called the OSU Development Foundation until 1979 -- has proudly supported the university's fundraising needs for more than half a century. One of the top higher-education fundraising organizations in the Big 12 Conference, we started out with one development officer raising a few thousand dollars in 1961. Two years later in 1963, our organization raised $106,622. The momentum built as all-time giving totals hit $1 million in 1967 and a second full-time employee was added in 1969. Milestones continued throughout the 1970s, including 1976, when gifts in a single year surpassed $2 million for the first time. Among the highlights of the 1980s was the 1981 announcement of the first $1 million gift, which was provided by Floyd M. "Pete" and Helen L. "Pat" Bartlett of Tulsa. The following year, T. Boone Pickens made his first $1 million gift. He later made the three largest gifts in OSU's history, with each at least $100 million. In June 1994, we launched our first comprehensive campaign, Bringing Dreams to Life. It ended in June 2000, surpassing $260 million after an initial goal of $125 million. In December 2007, we launched its successor, Branding Success: The Campaign for Oklahoma State University. More than 100,000 donors helped the campaign exceed its audacious $1 billion goal nearly 15 months ahead of schedule, finishing with $1.2 billion in December 2014. Today, our organization stays true to the mission of uniting donor and university passions and priorities to achieve excellence. Underlying every success is the loyal and true Cowboy nation, and for that, we are forever grateful. We are a private, non-profit organization as determined by IRS 501 (c)(3) documentation. We are separate from Oklahoma State University and not supported by state funds. As a private corporation, we are uniquely qualified to address your specific needs and concerns as a donor. We are dedicated to maintaining public confidence and private trust. In the interest of transparency, we provide information about our organization. Below are our policies that ensure we are meeting the needs of our donors. Our Board of Trustees provides oversight as we maintain donor confidentiality and follow proper business practices regarding human resources, legal, real estate, financial and other matters. We also meet and often exceed all regulatory requirements at the federal, state and local levels.